YES. I DO. - TABLE FOR TWO. Made for You. Proposals and commitments are life changing. So is Table for Two Made for You. "I DO . 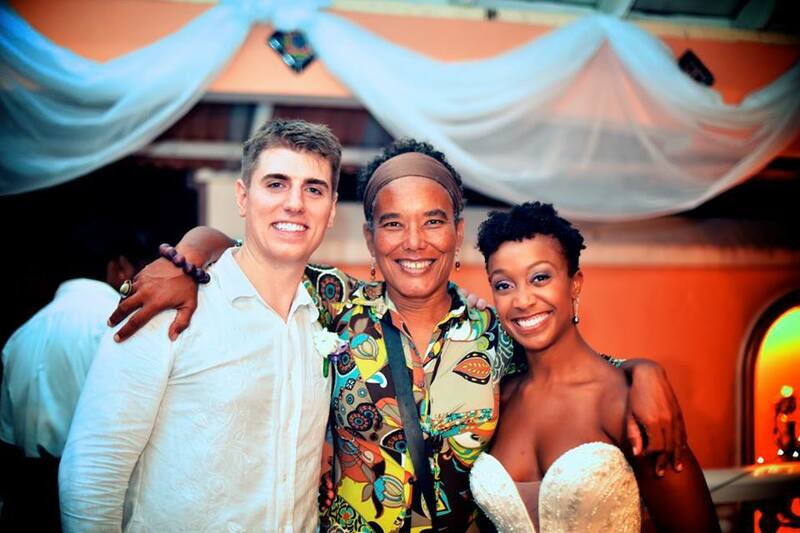 . ."
Josh and Kate from the US came to Tobago to have a quiet Castara wedding. Below is their Tripadvisor review of the one-of-a-kind dining experience Table for Two created for them on their special night. Castara beach wedding followed by TFT dining experience on this verandah at Castara Retreats. 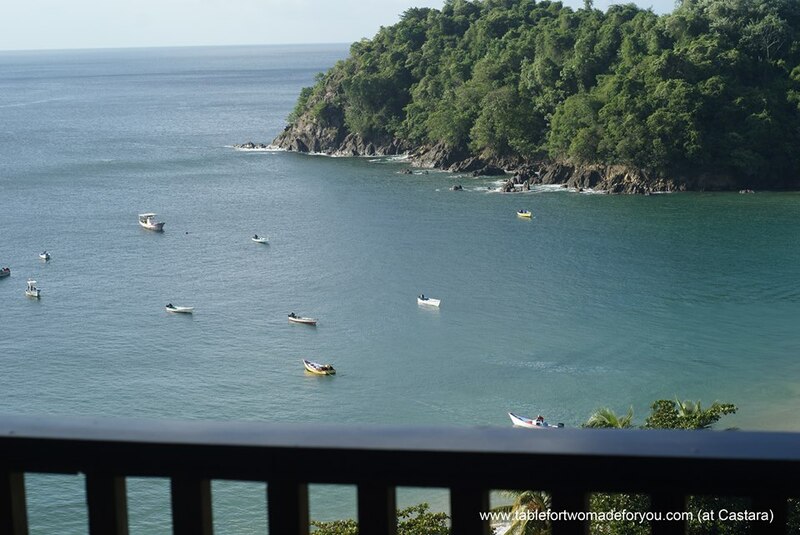 My wife and I had our wedding ceremony on the beach in Castara, Tobago. We wanted to do something special and intimate to celebrate afterwards. To be honest, I thought "no restaurant is going to be exciting or special enough for our wedding celebration, so we'll have to make it special ourselves". We were astonished by the sheer amount of preparation that must have been necessary alone. We will remember and cherish the romance and fun for the rest of our lives. The night was filled with the most amazing surprises, which I won't give away. That said, our evening at Table for Two surpassed even our greatest hopes. It is now a month later and we continue to enjoy new surprises from that night. My wife and I are both adventurous eaters and the cuisine was top notch. We are not vegetarians, but we do enjoy vegetarian cuisine. Wherever you fall in that spectrum, you will not be disappointed by the food. The number of courses was right on and perfectly timed. The surprises were perfectly designed. I don't think we had a silent moment that night. I can't say too many good things about Table for Two. It's an understatement to call it a dinner - it's more of a "dining experience". If you are looking for a once-in-a-lifetime adventurous, romantic, intimate, unique experience, you won't regret it. 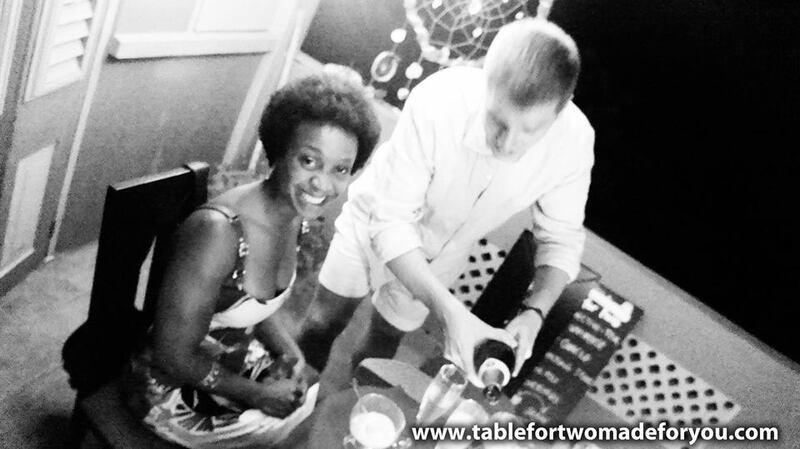 Sean proposed to Riva at Table for Two and, of course . . . 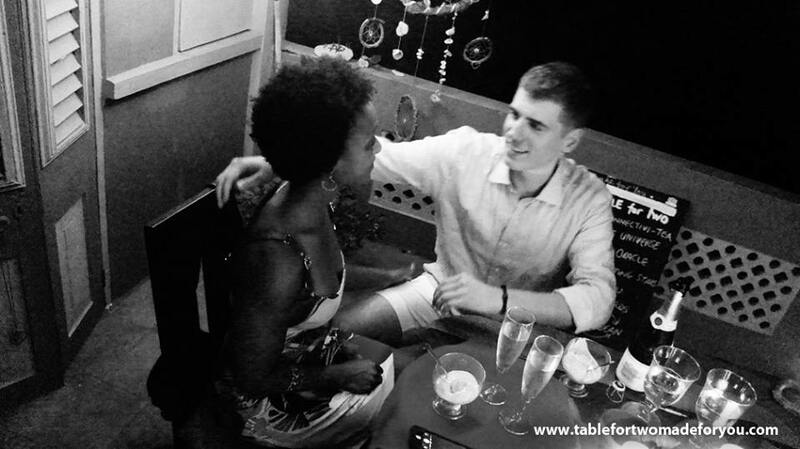 I was searching for the perfect time and place to ask for my (now) fianceé's hand during our trip to Tobago, and let me say our experience at Table for Two was nothing less than pure MAGIC! Elspeth is one of those rare beautiful souls who exudes abundant peace, love, and grace. You hear it when she sings and plays her guitar and flute at the table side, and you can taste it in her delicious vegetarian cuisine. We were astounded by the level of thought and preparation Elspeth put into the “love activities” that built up to the big event of the night - the marriage proposal! We were so blessed to have Elspeth as a part of our love story and the start of our lives together!
. . . and the three of us a year later at their wedding (for which they returned to Tobago).